Trump Character Flaws Becoming Legendary…Trump’s sordid past is steadily being exposed the walls are closing in. As someone who has displayed behaviors more in line with being an unstable mental case, we’d better be ready for him to do something drastic. Like a desperate animal trapped in a corner, he may lash out without regard to the consequences. Whether it’s firing someone at the DOJ in order to stop the Mueller probe, sparking a constitutional crisis, or bombing Iran or North Korea which could spark WWIII, any actions he might take to protect himself could put all of us in danger. The dishonesty, immorality & self-centeredness of the Trump character may actually fall into the category of narcissistic psychopath, so we must watch closely what he’s up to, trying to prevent him from doing something catastrophic. It’s truly amazing I would ever say this about an American President, but just watch how this guy operates. We must call him out, since as president & left to his own devices, he could bring on a disaster for America & the rest of the world. Among the most popular knee-jerk reactions from Trumpeters & the echo-crowd anytime yet another report comes out of Trump’s deplorable episodes, corruption & criminality, is to blame Hillary. The responses I get regularly from conservatives imply whatever Hillary did was as bad or worse than Trump’s. Of course, Hillary was under intense scrutiny from a decade’s worth of investigations ranging from Whitewater to Vince Foster to Benghazi, yet in all that time of rabid inquiries there was no proof of criminality ever found. Compare that to the overflow of wrongdoings already discovered about Trump & his inner circle after just a little more than a year of the Mueller probe, with the worst surely yet to come. But another point that seems lost on Trumpeters is Hillary isn’t president & is through serving in public office, so any accusations are now mostly ridiculous, irrational & irrelevant. And the repetition of attacks has taught their faithful echo-crowd to hate their assigned enemies, a list that currently includes Obama, Pelosi & the deep state, since echo-ratings are directly tied to titillating the audience by creating common villains that enhances the dramatic narrative. Recent replies from Trumpeters trying to deflect from Trump’s serious infractions, including being implicated in court as a co-conspirator to felony campaign finance violations, was to play the Hillary card for the umpteenth time. So here was my response to their nonsensical arguments. I wrote when the radicalized echo has spent a quarter century demonizing their favorite punching bag, they just can’t give her up! Especially when they are desperately trying to distract & paint false equivalencies from the current criminal enterprise in the White House they adamantly support. The Ken Starr investigation & Benghazi were together a decade of intense investigations, yet nothing substantive was found. In all that time with all the Clinton enemies, something surely would have been exposed if there was a there there! The tribulations of Donald Trump continue to mount as news of his crumbling network of accomplices gets more dire with each passing day. Just this week his campaign chairman, Paul Manafort, was convicted of eight felonies and his personal attorney, Michael Cohen, pleaded guilty to felonies of his own. Then two close associates – David Pecker of the National Enquirer, and Allen Weisselberg, CFO of the Trump Organization – were granted immunity by federal prosecutors in exchange for their cooperation. As usual, whenever Trump sees dark clouds gathering he attempts to blow them away by creating a windstorm of his own. It’s an obvious tactic that just makes him look desperate and even more guilty. On Saturday morning he deployed this scheme with a series of tweets intended to distract from the Mueller probe and the slow-motion apocalypse that is his presidency. The “Big story” that Trump refers to is one that has been in circulation for nearly two years now. It revolves around allegations that Hillary Clinton engaged in some vaguely defined wrongdoing connected to her handling of classified documents. This matter has been investigated by everyone from the FBI to various Republican-controlled committees in the House and Senate. And even when starkly partisan players in Congress were pushing hard to find misdeeds, they never did. If getting “to the bottom of all of this corruption” was actually on Trump’s agenda, he would not be relying on Fox News as his source for information. After all, he has the world’s most sophisticated intelligence operations at his fingertips, but he still prefers the imbecilic sycophants on Fox and Friends to experienced law enforcement professionals. The big story that has Trump triggered now is one that alleges that the FBI failed to review thousands of Clinton’s emails during their investigation in 2016. Trump attributes the story to Fox News, but it originated with a website, The Federalist, that is a virulent right-wing fount of extremist propaganda. The article authored by Paul Sperry is an interminably long screed that offers nothing but conjecture, when it isn’t rehashing ancient history about alleged Clinton misdeeds. The key point that Trump’s tantrum focuses on is the charge that the FBI deliberately ignored thousands of Clinton’s email that were discovered on the laptop of Anthony Weiner, who was married to Clinton aide Huma Abedin. Sperry asserts that some 675,000 emails were found, but that the FBI only reviewed 3,077 of them. That’s because the FBI conducted an automated review that identified the vast majority of these emails as duplicates that they had received and reviewed from other sources. Sperry casts doubts on the FBI’s ability to have effectively screened out the duplicates, but he offers no proof for that contention, and he completely ignores the fact that computers are quite capable of comparing text. Somehow, Trump concludes from this dubious article that the emails that were supposedly unreviewed were “REALLY BAD” and “disasters.” Where he got that from is anyone’s guess because even Sperry never made that claim. Nevertheless, on the weakness of this report, Trump is threatening, again, that he “may have to get involved” in the work of what should be the independent Justice Department. He has long claimed that he has that right and that he could even run the investigation himself if he wanted to. Imagine that: a president who personally takes control of the persecution of his political enemies. That says pretty much everything you need to know about the wannabe dictator in the White House. There’s never been any confusion about the character defects of Donald Trump. The question has always been just how far he would go and whether other individuals and institutions would stand up to him or become complicit in his corruption. When I first took to these pages three summers ago to write about Mr. Trump, I warned my fellow Republicans to just say no both to him and his candidacy. One of my concerns was that if Mr. Trump were to succeed, he would redefine the Republican Party in his image. That’s already happened in areas like free trade, free markets and the size of government; in attitudes toward ethnic nationalism and white identity politics; in America’s commitment to its traditional allies, in how Republicans view Russia and in their willingness to call out leaders of evil governments like North Korea rather than lavish praise on them. But in no area has Mr. Trump more fundamentally changed the Republican Party than in its attitude toward ethics and political leadership. For decades, Republicans, and especially conservative Republicans, insisted that character counted in public life. They were particularly vocal about this during the Bill Clinton and Monica Lewinsky scandal, arguing against “compartmentalization” — by which they meant overlooking moral turpitude in the Oval Office because you agree with the president’s policy agenda or because the economy is strong. All that has changed with Mr. Trump as president. For Republicans, honor and integrity are now passé. Mr. Trump’s corruptions are ingrained, the result of a lifetime of habits. It was delusional to think he would change for the better once he became president. 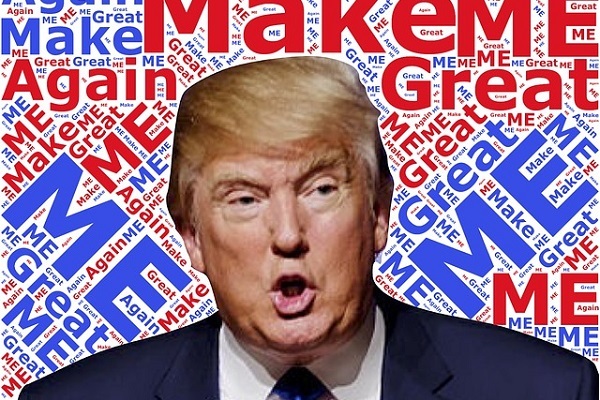 Some of us who have been lifelong Republicans and previously served in Republican administrations held out a faint hope that our party would at some point say “Enough!”; that there would be some line Mr. Trump would cross, some boundary he would transgress, some norm he would shatter, some civic guardrail he would uproot, some action he would take, some scheme or scandal he would be involved in that would cause large numbers of Republicans to break with the president. No such luck. Mr. Trump’s corruptions have therefore become theirs. So far there’s been no bottom, and there may never be. It’s quite possible this should have been obvious to me much sooner than it was, that I was blinded to certain realities I should have recognized. In any case, the Republican Party’s as-yet unbreakable attachment to Mr. Trump is coming at quite a cost. There is the rank hypocrisy, the squandered ability to venerate public character or criticize Democrats who lack it, and the damage to the white Evangelical movement, which has for the most part enthusiastically rallied to Mr. Trump and as a result has been largely discredited. There is also likely to be an electoral price to pay in November. But the greatest damage is being done to our civic culture and our politics. Mr. Trump and the Republican Party are right now the chief emblem of corruption and cynicism in American political life, of an ethic of might makes right. Dehumanizing others is fashionable and truth is relative. (“Truth isn’t truth,” in the infamous words of Mr. Trump’s lawyer Rudy Giuliani.) They are stripping politics of its high purpose and nobility. That’s not all politics is; self-interest is always a factor. But if politics is only about power unbounded by morality — if it’s simply about rulers governing by the law of the jungle, about a prince acting like a beast, in the words of Machiavelli — then the whole enterprise will collapse. We have to distinguish between imperfect leaders and corrupt ones, and we need the vocabulary to do so. A warning to my Republican friends: The worst is yet to come. Thanks to the work of Robert Mueller — a distinguished public servant, not the leader of a “group of Angry Democrat Thugs” — we are going to discover deeper and deeper layers to Mr. Trump’s corruption. When we do, I expect Mr. Trump will unravel further as he feels more cornered, more desperate, more enraged; his behavior will become ever more erratic, disordered and crazed. Most Republicans, having thrown their MAGA hats over the Trump wall, will stay with him until the end. Was a tax cut, deregulation and court appointments really worth all this? Aside from the constant bullying, insults & potential evidence of criminality, we would think even if Trumpeters & echo-world could overlook all that of their president, they would at least be disappointed in him for all the lies. Do they really believe whatever Trump says or are they just giving him a pass? With Fox & the rest of the echo brainwashing their fans by confirming Trump’s lies, in that rightwing world it does make all the falsehoods seem more credible. But Trump’s lies are becoming more numerous & implausible all the time, to the point where reasonably intelligent people can no longer dispute the fact he’s lying. The actual numbers show he’s soon closing in on 5000 verifiable lies during his presidency. We’ve never seen anything like this, not even close! The prez lies to us every day, several times a day, with preposterous assertions & conspiracies, which the only possible explanation I can think of why his base still believes him, is because as a group their mindset has been given over to a cult. If anyone can think of a better reason, please let us know. The Trump character is now defined by lying that’s pathological. But recent polls indicate nearly half the GOP base believe Trump is trustworthy & honest, so are they even paying attention? As they believe all the lies, they’ve been programmed to lie to themselves. The quirk becomes a problem, though, when the president relies on his TV screens not only for comfort but also for information. In a recent interview with Fox News’s Ainsley Earhardt, Trump asserted that one can “learn a lot from the shows,” but that is simply not true. I know some dyed-in-the-wool partisans who occasionally tune into contrary programming to discern what the enemy is up to. But true learning involves an honest search for well-supported facts and authentic experience. As for “the shows,” their bread and butter is commentary and spin, loosely rooted in the work of others. Secretary of State Mike Pompeo could tell us the difference. The other day, he was assigned via Trump’s Twitter to confront South Africa’s government over the practice of “seizing land from white farmers” and “large scale killing of farmers.” The inspiration for this undiplomatic outburst was a cynically distorted segment of Carlson’s show on Fox News, in which the bowtied Washington toff made an ugly cartoon of a very complex political situation. It’s dumbfounding to think that a president, with on-demand access to people who have spent their lives getting to know the history and contours and politics and players of South Africa, would rely on the host of a cable “news” program for policy guidance. More signs of a Trump cult within the GOP base, his approval ratings have barely budged downward despite being implicated in court for felony campaign finance crimes: nothing-donald-trump-can-do-will-drive-his-voters-away-if-last-week-didnt-do-it-what-will. And why in the world is this nutball QAnon promoter pictured with Trump in the Oval Office? : qanon-conspiracy-theorist-oval-office-trump. If Trump were to successfully turn our democracy into a fascist dictatorship, he would need to co-opt the institutions of democracy, such as the security/intelligence agencies, the courts, the legislative branch & the media, as he is now trying to do. But he’d also need cooperation at the state level, which this could provide a Trumpian-style preview: west-virginia-governor-jim-justice-accused-of-stacking-state-supreme-court-with-republicans. And in a post-Trump world should he fail in his bid for a Putin-like autocracy, we’ll still be stuck with the aftermath of what Trump wrought. Inside the link america-after-trump-presidency, it’s speculated there could be 3 potential outcomes, 2 of which ain’t good. Let’s just hope he’s not doing permanent damage. Trump’s authoritarian ways have become an integral part of him: trumps-authoritarian-musings-are-now-seen-as-routine. But as I’ve been predicting from the beginning, the weight of all these scandals will take him down: trumps-contempt-for-the-law-will-be-his-downfall. As for religion, I’ve been quite tough on evangelicals for their blind allegiance to their earthly master, with Falwell being the biggest heretic of all: jerry-falwell-donald-trump-fire-jeff-sessions, but this scandal about the Catholic Church is just plain evil & tragic: catholic-church-faces-ominous-decline. Even The Pope’s job is in jeopardy. But I do believe we should have secure borders & I have a strong sense who’s to blame. Whatever outrage we can place on the crimes of illegal immigrants, the fault lies largely with the far-right echo. We could have had a comprehensive immigration deal under Obama or Trump & even before that, featuring a fix for DACA & better border security. Under Trump it could have included funding for a wall if they insist, but the far-right echo & previously the tea party fought it every step of the way. So let’s expose the real reason we don’t have the wall & border security the echo keeps harping about, because the far-right’s my way or the highway approach nixed the deal that was there for the taking, as they refused to negotiate in good faith. So if they want to politicize every murder from an illegal, just remember why we’re still in this same situation! : john-mccain-and-the-tragic-transformation-of-the-republican-party.